New Delhi: The Indian Government is undertaking several initiatives to upgrade its existing infrastructure and enhance the quality of services provided. 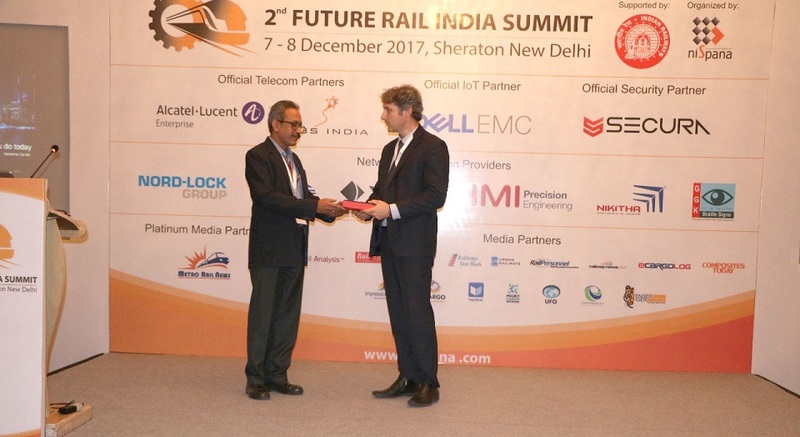 The Future Rail India Summit 2017 New Delhi India was successfully launched at the Hotel Sheraton New Delhi organized by Nispana Innovative Platforms featuring Industry experts and thought leaders to discuss the modernization efforts of the nation’s largest public transport carrier. Dr. Madhukar Sinha, Executive Director (Innovation), Railway Board, Ministry of Railways. Over 150 participants witnessed visionary keynote presentations and case studies including Dr. Madhukar Sinha, Executive Director (Innovation), Railway Board, Mr. Rajiv Chaudhry, Advisor (Station Development), Railway Board, Dr. Deepak Tripathi, Chief Mechanical Engineer, Konkan Railways, Dr. Anirudh Gautam, Executive Director, SHRESHTA. This immense gathering also featured solutions showcasing from technology providers like Alcatel Lucent Enterprise, DELL EMC as the official IOT Partner, Secura as the official security partner while, Nord Lock Group, Leroy Automation, Xtralis, IMI Precision Engineering, Nikitha, CGK Braille Signs are the Networking Solution providers There were intensive networking amongst the attending delegates, speakers and dignitaries. Metro Rail News feature as the Platinum Media partner in addition to other media partners. The conference is conceptualized and developed by Nispana Innovative Platforms Pvt Ltd headquartered in India with offices in Dubai and USA.